REACH represents a solution that seeks to reduce Long Term Care (LTC). 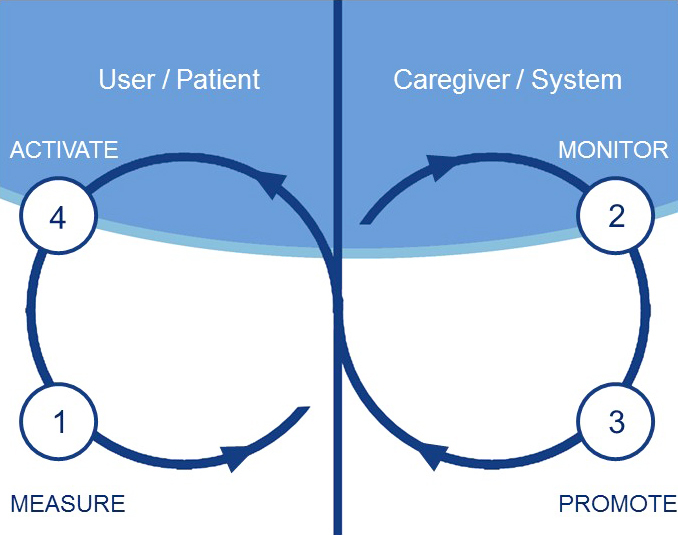 It does this by serving as a personalized system for promoting and monitoring the activity of elderly citizens in order to reduce their risk of loss of function and associated morbidities (e.g., cardiovascular and neurological disorders/diseases, depression, falls due to motor disabilities, etc.). Evidence from numerous rigorous studies demonstrate that increased levels of physical activity substantially improves health in older adults. In highly industrialized countries, where people are living longer, the levels of chronic health conditions are increasing and the levels of physical activity are declining. While an increase in physical activity levels has been shown to be the most effective and important intervention strategy to improve health in elderly populations, it is notoriously difficult to increase physical activity, mobilization, and rehabilitation among older adults. Current trends and tendencies to use wearable devices to provide instant feedback during training sessions attract a very small portion of the elderly who may benefit from increased activity. REACH, in contrast, adopts a proactive strategy of detection and prevention by targeting the elderly for whom engagement in physical activities is crucial to their continued independent living. A number of core functional elements of REACH were identified as part of various ongoing project activities: measure, monitor, promote and activate. The “service blue print concept” sets this four elements into relation to each other and uses them to create a feedback loop that shall govern the interaction between end users and the REACH system via the Touchpoints. REACH should on one hand, continuously measure the user activities in the front end, while at the back-end monitor the processes and identify/predict acute events and unusual patterns for potential activations by the system or caregivers at the front-end. figure: REACH core components of the “service blueprint” that shall govern the interaction between end users and the REACH system via the Touchpoints. This project has received funding from European Union’s Horizon 2020 research and innovation programme under grant agreement No 690425.